Measuring 25.60m (84’), THE BIRD is a beautifully refitted, stylish and elegant charter yacht offering lovely interior decor and great exterior areas. 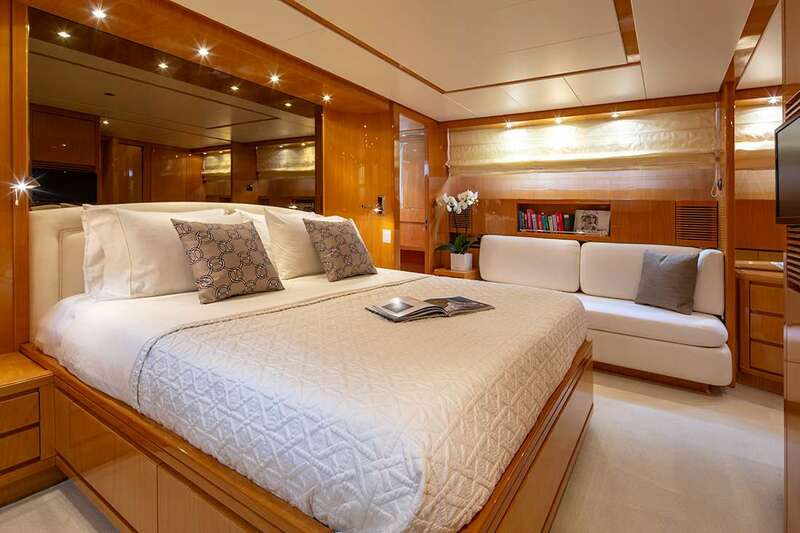 Her accommodation sleeps up to 8 charter guests in 4 cabins, while she is serviced by an attentive crew of 4. She was built in 2004 and refitted in 2018. 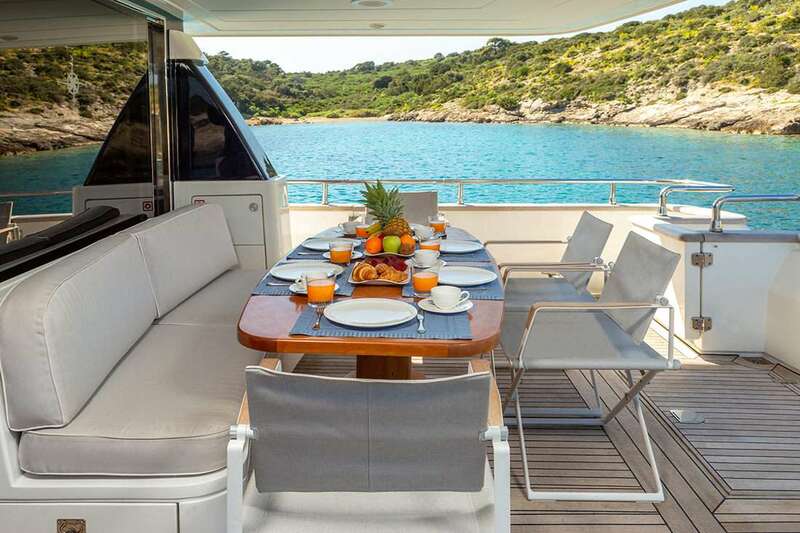 The raised swim platform has plenty of room for sunbathing with uninterrupted views, and when lunchtime arrives guests can ascend the staircases to the main deck aft for alfresco dining at the aft-facing sofa and raised table placed beneath the shade of the flybridge overhang. 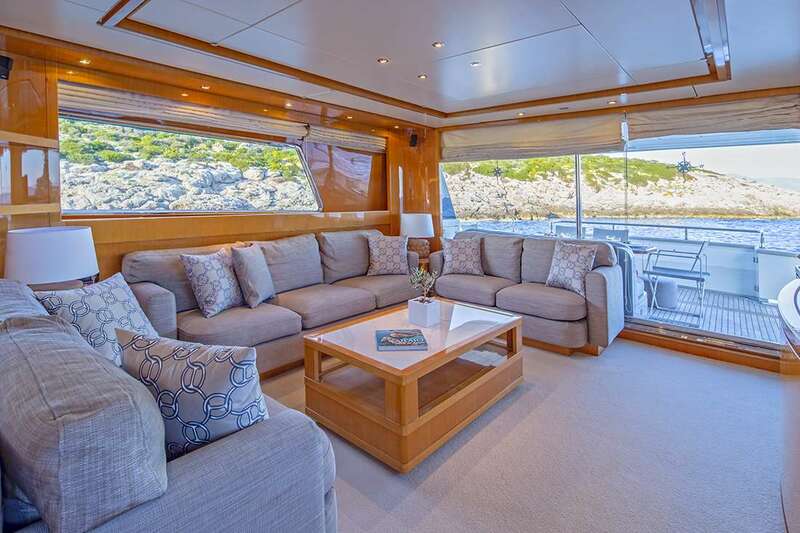 Guests also have the plush seating and sunpads covering the foredeck for panoramic forward views and a quiet place to watch the sunset. 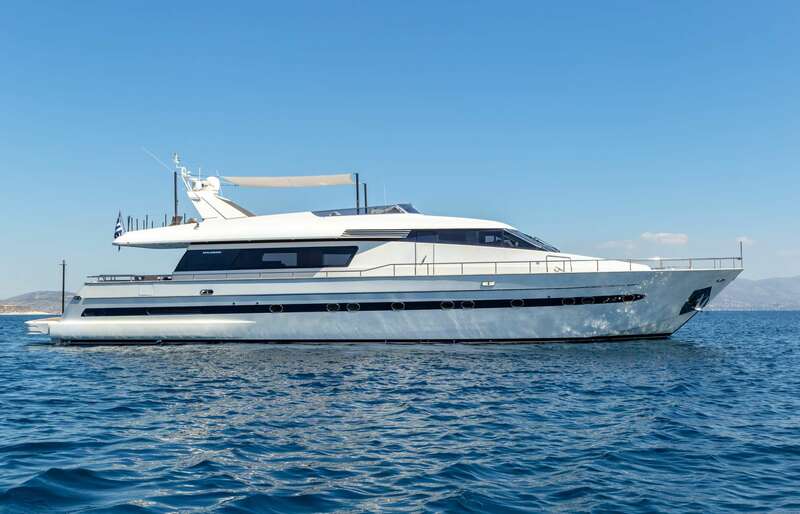 The flybridge is accessed via a staircase forward of the formal dining area, and the alfresco living space is furnished with a sofa and helm controls to starboard, behind which is the sheltered dining area with an L-shaped sofa and an expanding table to meet guest requirements. 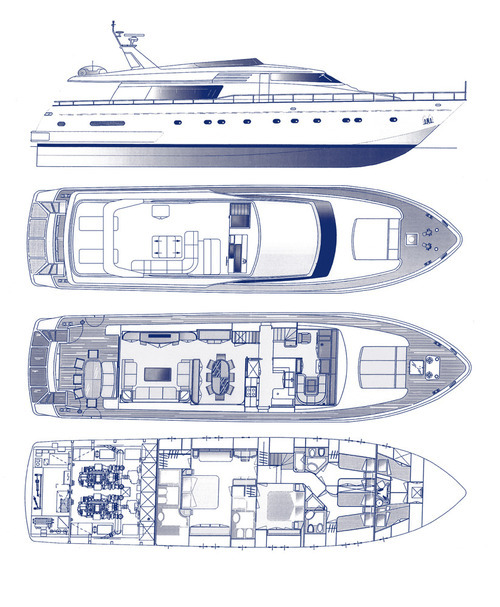 The aft section is used to store the tender, which can be launched and retrieved safely using a Davit crane. When clear, the area can be used for sunbathing, exercise and observation. The lower deck is dedicated to accommodation, with the crew cabins placed in the bow followed by the guest accommodation amidships. Behind is the engine room and the stern hosts the water toys. A stairway from the lower deck connects to the main deck forward to port of the helm controls. 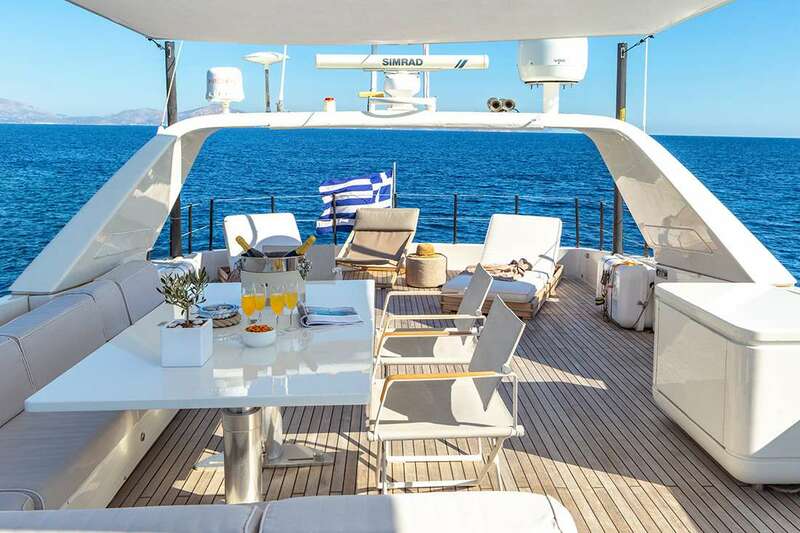 A U-shaped seating area and drinks table is placed in the starboard corner, where guests can unwind and enjoy the forward views, whatever the weather. 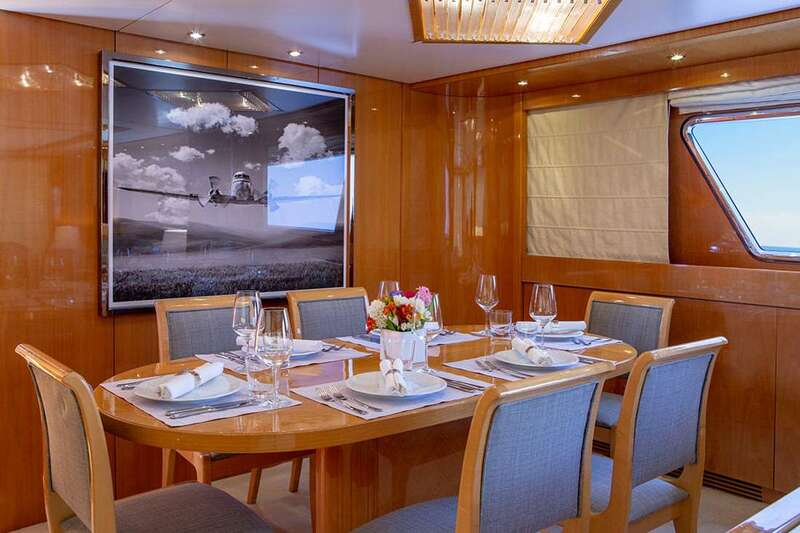 Behind to starboard is the galley followed by the formal dining area designed to seat all eight guests. To the aft, three sofas to starboard surround a coffee table to create a spacious lounge, opposite of which there is a widescreen TV. Twin 1,500 HP MTU engines produce a top speed of 26 knots and a cruising speed of 22 knots. The accommodation sleeps a maximum of 8 guests over 4 en-suite cabins: 1 Master suite, 1 double cabin and 2 twin cabins. 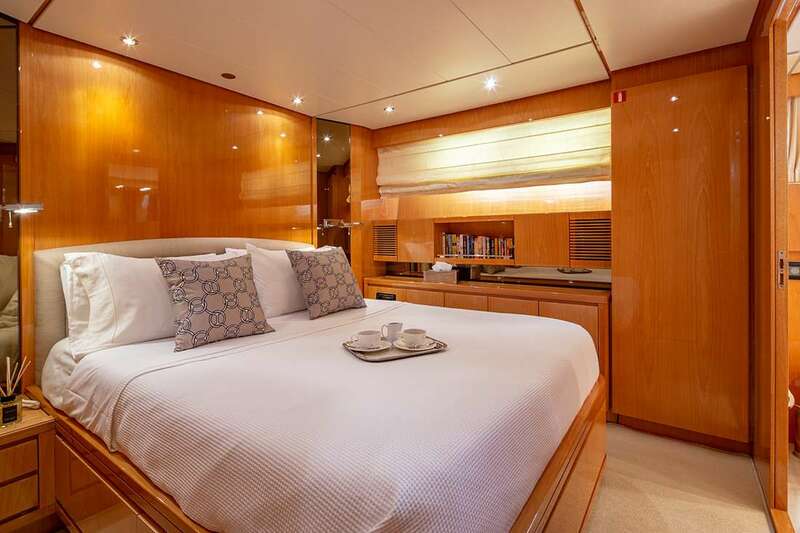 ~ The Master suite is placed amidships and make use of the full beam to provide a queen-sized bed, a sofa, desk, aft port walk-in wardrobe and an aft starboard en-suite bathroom with a sink, toilet, bidet and shower. 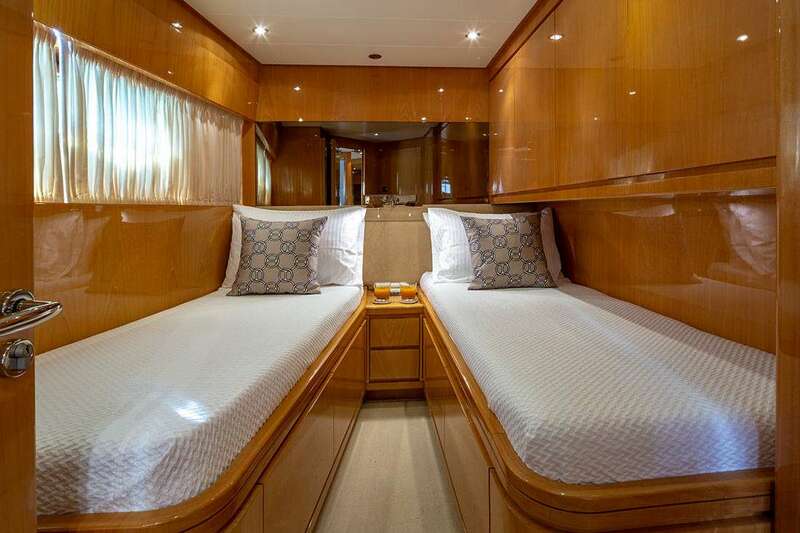 ~ The double cabin is forward and starboard of the Master suite, and comes with a double bed, wardrobe and an aft en-suite with a toilet, bidet, sink and shower. 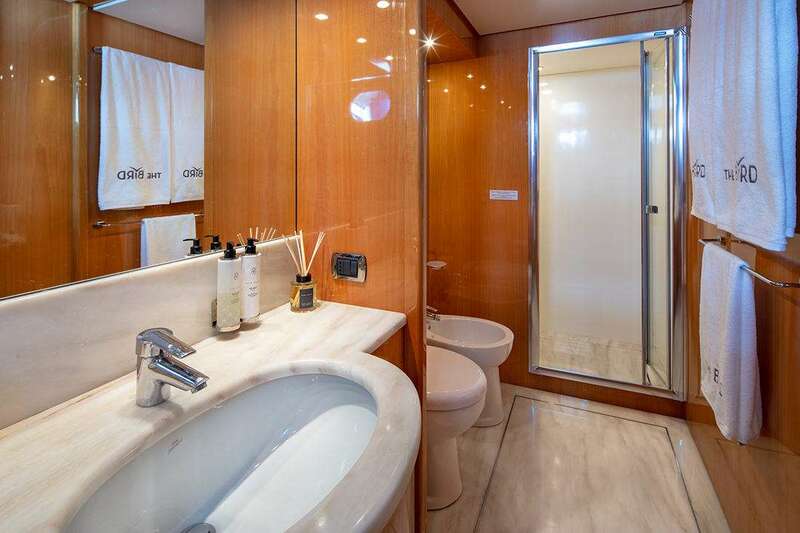 ~ The two twin cabins are placed forward to port and starboard and each has a wardrobe and an en-suite bathroom with a toilet, bidet, sink and shower. ~ The crew of 4 will provide stellar service throughout every cruise.